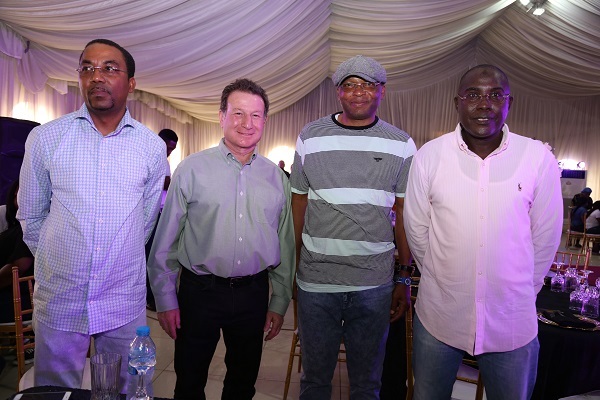 The Executive Director, Finance and Administration of Nigerian Ports Authority (NPA), Mohammed Bello-Koko (right), the Executive Director, Marine and Operations, Dr. Sokonte Hutins Davies (2nd from right), the Retired Managing Director of Lagos Channel Management (LCM), Daniel Fuchs (3rd from right), the General Manager, Corporate and Strategic Communications, Abdullahi Goje (2nd from left), the newly appointed Managing Director of Lagos Channel Management (LCM) Segev Mendelson (3rd from left), the Assistant General Manager, Corporate and Strategic Communications, Isah Suwaid (left) and other Stakeholders at the Farewell party in honour of Fuchs in Lagos, Last weekend. 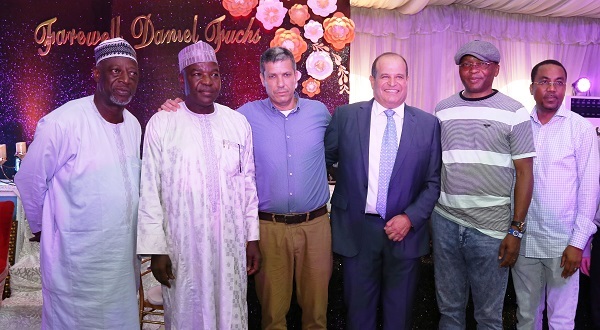 The Executive Director, Finance and Administration of Nigerian Ports Authority (NPA), Mohammed Bello-Koko (left), the Executive Director, Marine and Operations, Dr. Sokonte Hutins Davies (2nd form right), former Managing Director of Nigerian Ports Authority (NPA), Abdulsalam Mohammed and a stakeholder at the farewell party in honour of Fuchs in Lagos, Last weekend. 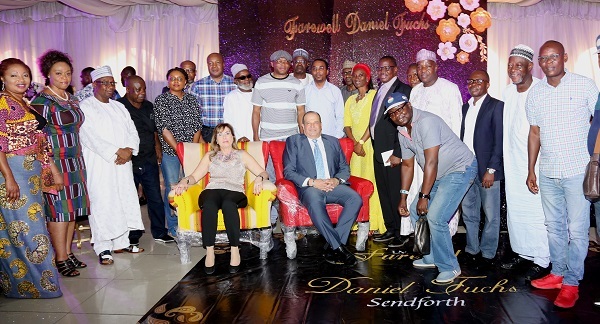 The Executive Director, Marine and Operations of the Nigerian Ports Authority (NPA), Dr. Sokonte Hutins Davies (Standing 8th from left), The Executive Director, Finance and Administration, Mohammed Bello-Koko (Standing 9th from left), and some management staff of the Authority at the farewell party in honour of Fuchs in Lagos, Last weekend. 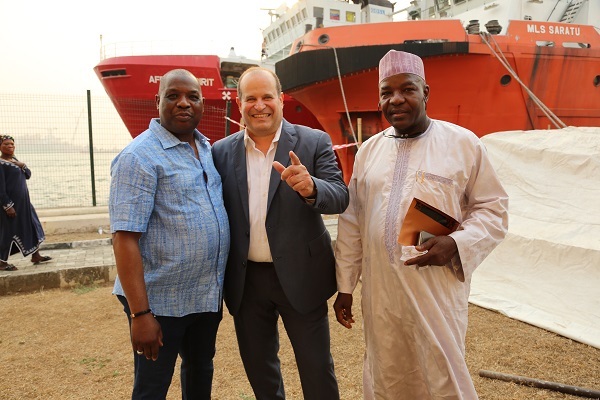 Former Managing Director of the Nigerian Ports Authority (NPA), Habib Abdullahi (left), the Retired Managing Director of Lagos Channel Management (LCM), Daniel Fuchs (middle), and the General Manager, Corporate and Strategic Communications, Abdullahi Goje (right) at the event.